We all have schedules and routines, and we know practice makes perfect, but sometimes the best things happen when you throw everything out the door and just wing it. 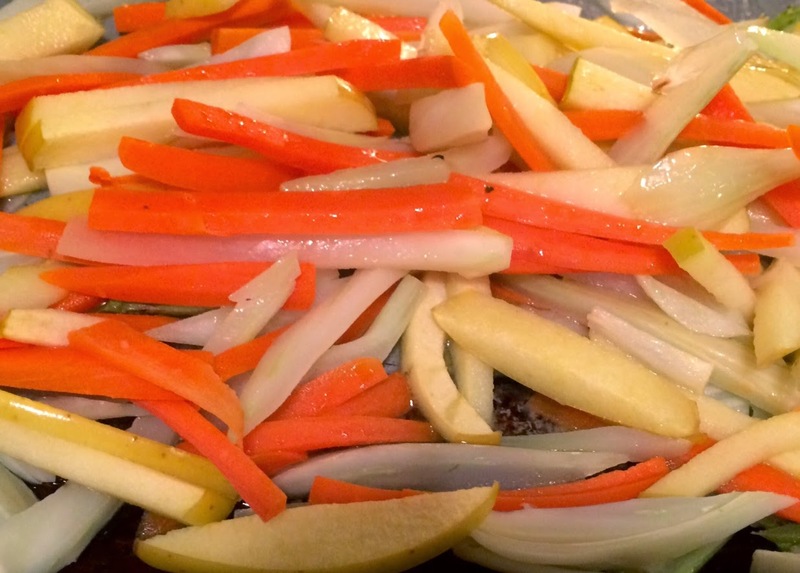 Take for example, the magical dish that's created when you decide on a whim to roast sliced fennel, carrots and apples with smashed garlic cloves, a bit of salt/pepper and walnut oil until they are all browned and caramelized. And, then you decide to coat all of that roasted goodness with a sauce made from a little bit of brandy, melted butter, and a wee bit of cream. And then you toss it all with some medium-sized egg noodles and chopped fennel fronds. Some might call it taking a chance or leaving it up to fate.